New year, new resolutions (again). One of the most popular ways that people are planning on bettering themselves in the new year is, you guessed it, committing to exercise. In fact, 37% of people are looking to get fit in 2018. This resolution tops the list for the 68% of Americans who set these goals for the New Year. And, it seems many of them will look to the same type of exercise – high intensity interval training (HIIT). Though considered this year’s top fitness trend, the fact is, HIIT sessions have been growing in popularity the past few years, and for good reason. HIIT allows people to spend less time working out and get similar, if not better, results. And, this is a win-win in our fast-paced society that thrives on instant gratification, yet craves big impact. This new short attention span/high yield environment has also impacted marketers, who’ve had to quickly shift in the way they approach consumers. They are challenged in getting attention in a highly-saturated media environment and, once they have the floor, have limited time to form connections with consumers. 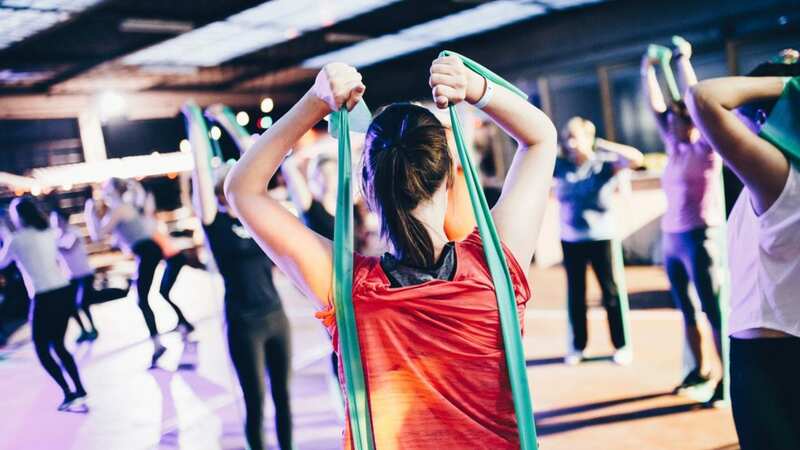 Fortunately, experiential marketing allows them to make an impact and, like those HIIT enthusiasts, keep their marketing effectiveness in shape year after year. An Adweek article captures the essence of experiential marketing. It tells what traditional advertising takes “weeks, months or years to do,” experiential marketing can do “in a moment.” That’s because brand activations allow consumers to enjoy an experience and share it with others. And yet, events must be compelling, relevant, and actionable. Marketers and agencies can flex the brand’s muscles with these experiential marketing trends. Here are five top ways they’ll whip their events into immersive and memorable experiences this New Year. 1. They’ll put mind over matter. In 2018, marketers are continuing to incorporate more data collection strategies and technologies into event marketing efforts. Some of these tools, such as attendee journey tracking or event marketing automation, continue to improve in both scope and capabilities. Driving ROI in event marketing has never looked more promising. 2. They’ll be creative with digital. Digital technology seems to make the list of experiential marketing trends every year. But, for some brands, event implementation hasn’t quite taken off. Luckily, it’s getting easier to incorporate into experiential events as tech providers increase in number and bigger brands and larger events pave the way. And there are plenty of examples of how companies can incorporate digital in a creative way. Of the latter, we saw stand-out activations at the 2017 Coachella Festival, where HP took visitors on an out-of-body, 360-degree audio-visual experience. And, SXSW sponsors continue to shine, with Gatorade being a stand-out last year. The beverage brand showed the worth of partnering with like companies who have the technology to engage participants. Marketers should heed this example as a creatively cost-efficient way to accomplish goals in 2018. Whether using VR to take participants on a tour or helping them get more use of their wearable devices, there is a way for any brand to incorporate event technology. 3. They’ll broadcast the live event. In 2017, we learned that 64% of consumers make a purchase after viewing branded video content on Facebook. And, brands everywhere jumped on the wagon. A Forbes article says this will not slow in 2018, advising marketers and agencies to devote more dollars to video. Yet, when pairing video with experiential marketing, the expense doesn’t have to be great. Consumers engaging in brand experiences independently make the best video content for marketers and consumers alike. It’s authentic. It’s also near effortless for the producer. And, brands can continue to use the video to market their event – at no expense to them. This attendee-created content is an optimal way to reach beyond the brand’s immediate audience, potentially touching those 64% of consumers willing to buy from a video experience alone. Consumers want consistency from brands. So much so, 81% “expect the same level of service every time they interact with a company across different channels.” It’s a tall order, especially for large companies. But, it’s critical since it shows a brand’s true intentions and encourages consumers to trust (and buy from) them. This means, in 2018, marketers will consider experiential marketing efforts from a holistic marketing view. No one tactic is in a silo. Experiential marketing will incorporate social media marketing, and email marketing will be tied into activations, and so on. An Adweek article discourages the labeling of campaigns and encourages brand planning this year. 5. They’ll get more comfortable in their performance. For many brands, experiential marketing has grown to be second nature. And, as they get more comfortable, they’re getting more casual – in a smart way. Interacting using street teams has become commonplace since brands know they’re a strategic means for reaching target consumers. And, that’s because street teams engage consumers where they’re most comfortable – in areas they are familiar with. Every week, Elevate Event Staffing produces tips, trends, and ideas related to event staffing, experiential marketing, and more. Subscribe to our blog for great articles and insights delivered to straight to your email.